During her lengthy career inside the US Consulate, Mary Graham was responsible for complete evaluations and recommendations regarding US Visa Applications. She answered to the office on the adequacy of documentation and evidence supporting a wide variety of difficult and complex visa and waiver situations. Mary’s role also involved tracking the progress of cases, supervising staff members, resolving public complaints and a raft of other duties within the US Consulate. Her unique and lengthy experience makes her an exceptional American Visa consultant. Mary Graham’s unique experience and specialised training from the US Consulate became extremely valuable to a private Immigration Law Practice in Sydney. During her time there, Mary had a brilliant record as an American Visa consultant for all cases. The trick to this high level of success was simple – evaluate the eligibility criteria for each case before committing the client to a paid service. Mary dealt with all kinds of matters. Her personal knowledge was crucial to success. Today, Mary Graham is directly available to take on your case. She can draft and prepare non-immigrant and immigrant cases for submission to US Consulates, or United States Citizenship Immigration Services (USCIS). American Citizens can receive expert guidance relating to spouse, fiance, and family member petitions. Or renunciation of US Citizenship. 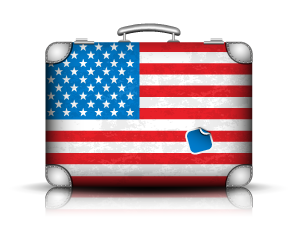 Foreign Citizens can expect a swift service to support their efforts in attaining entry to the USA, according to eligibility.